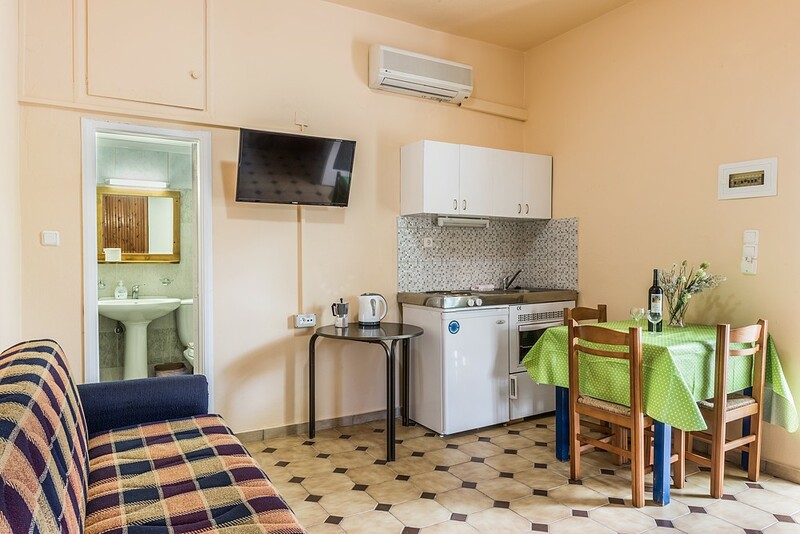 The studios can accommodate up to 3 persons. 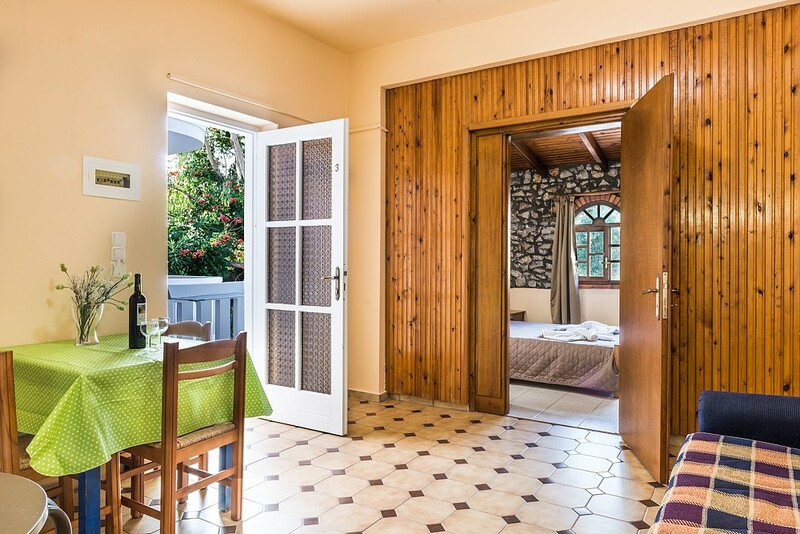 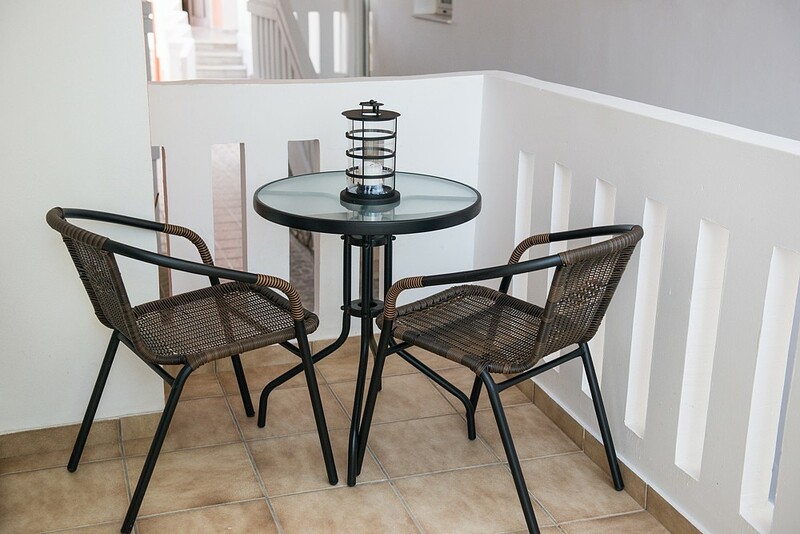 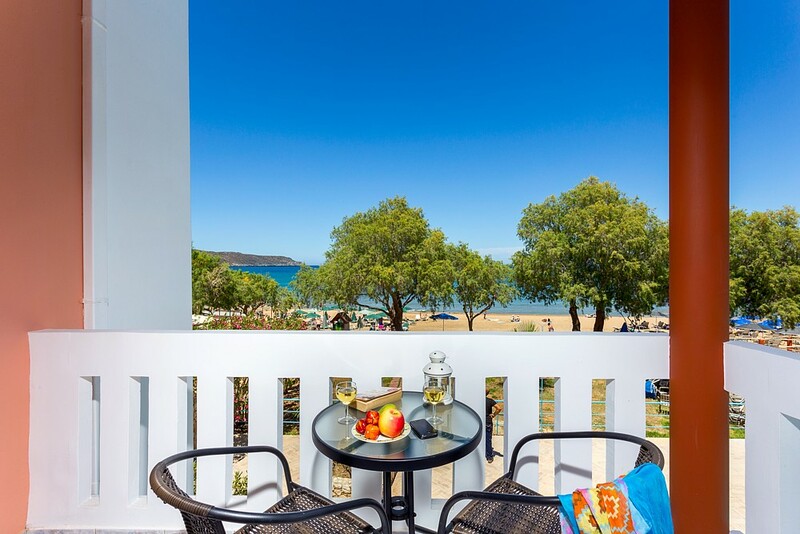 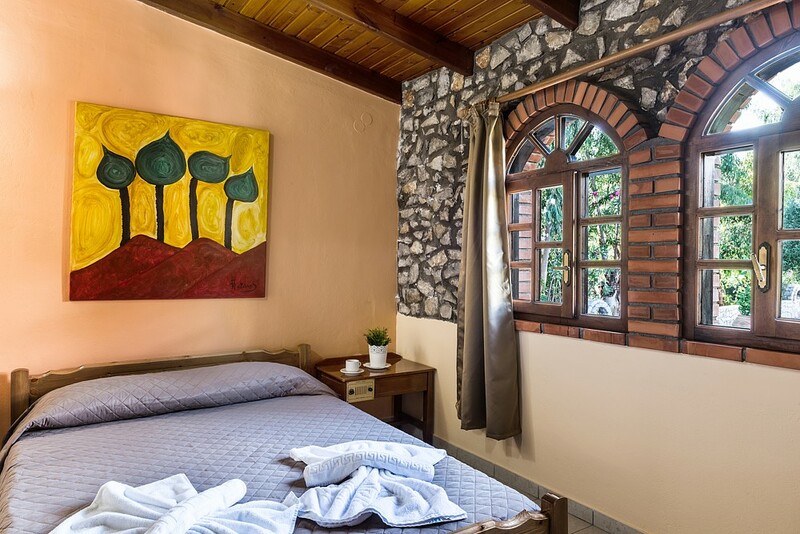 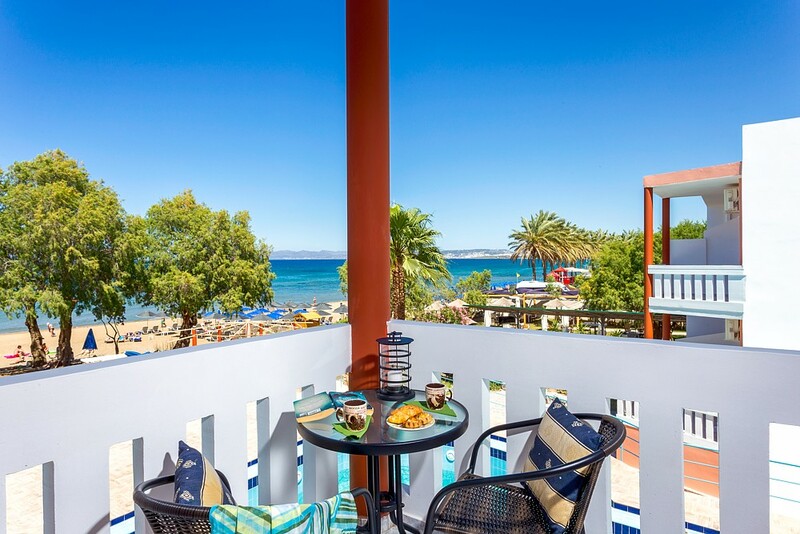 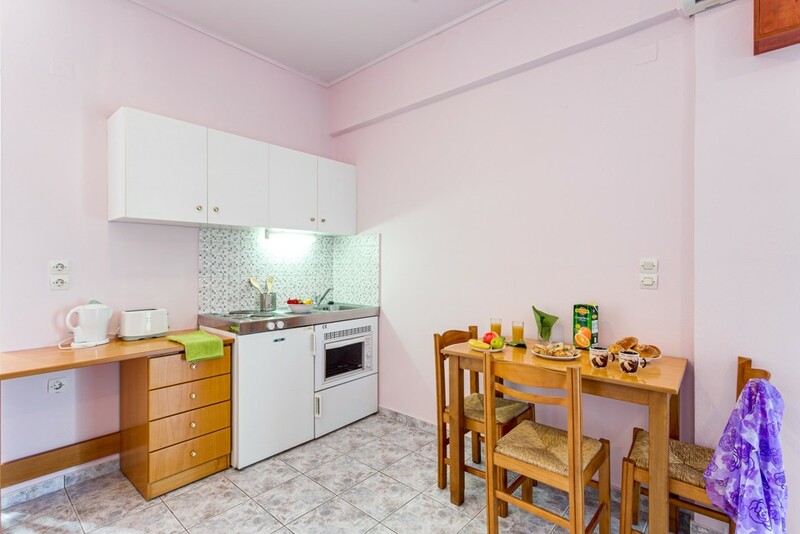 You are able to select between a sea view studio or garden view. 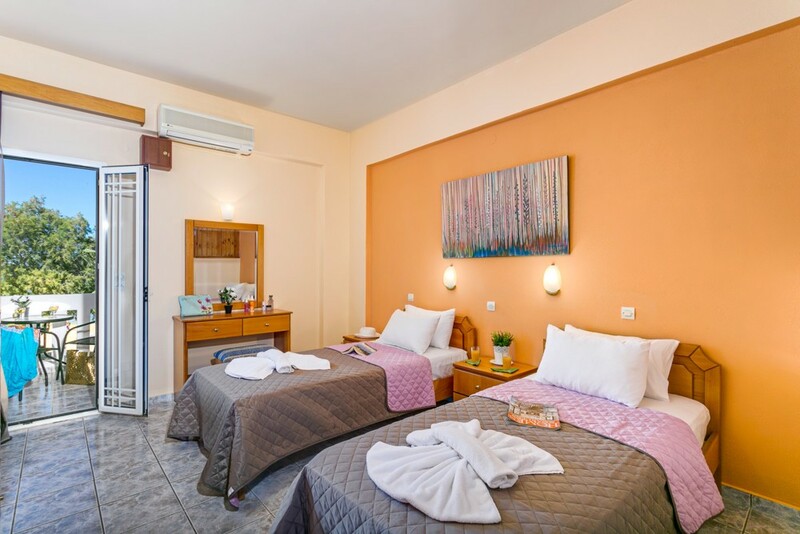 Both types are very comfortable and have easy access to all parts of the hotel. 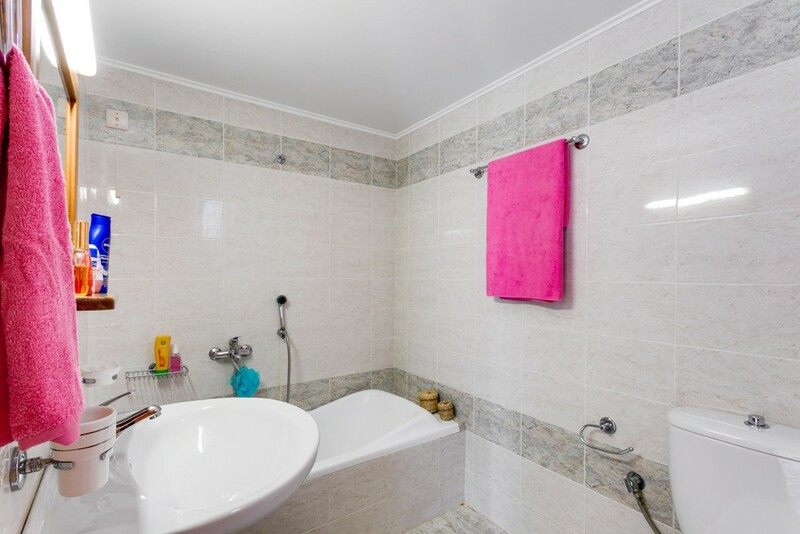 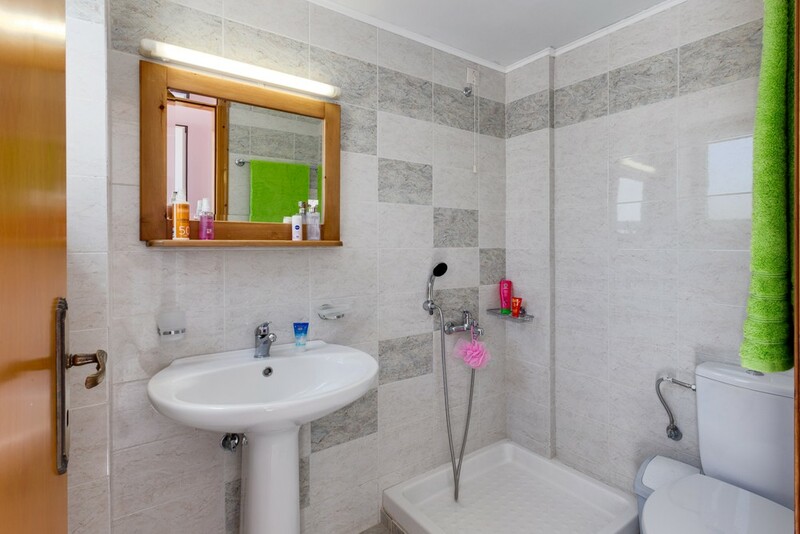 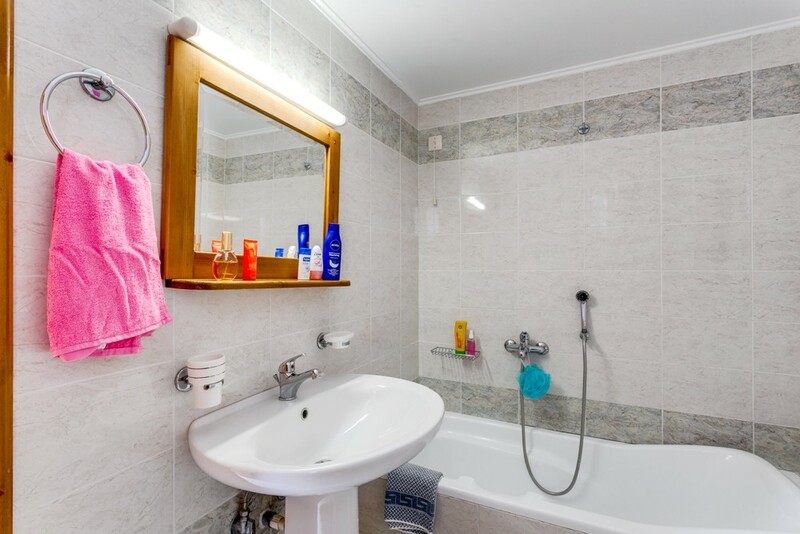 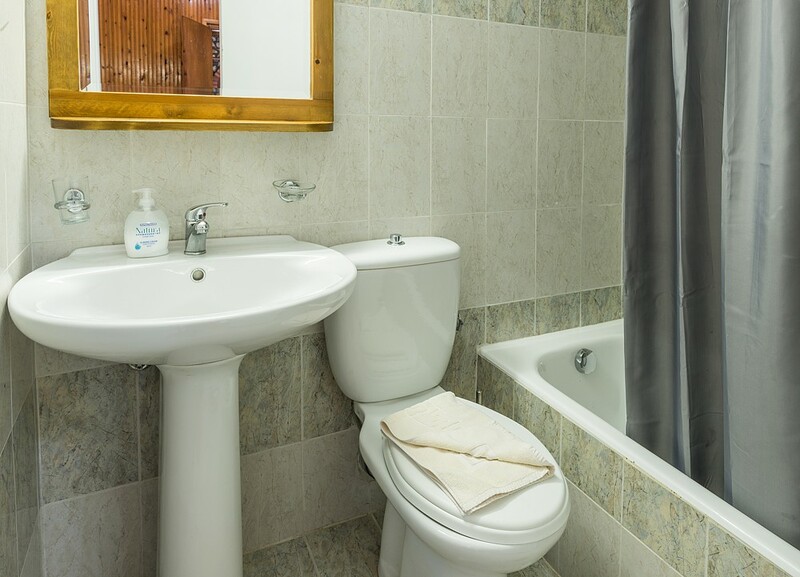 All rooms have a private bathroom, individually controlled air conditioning, 32? 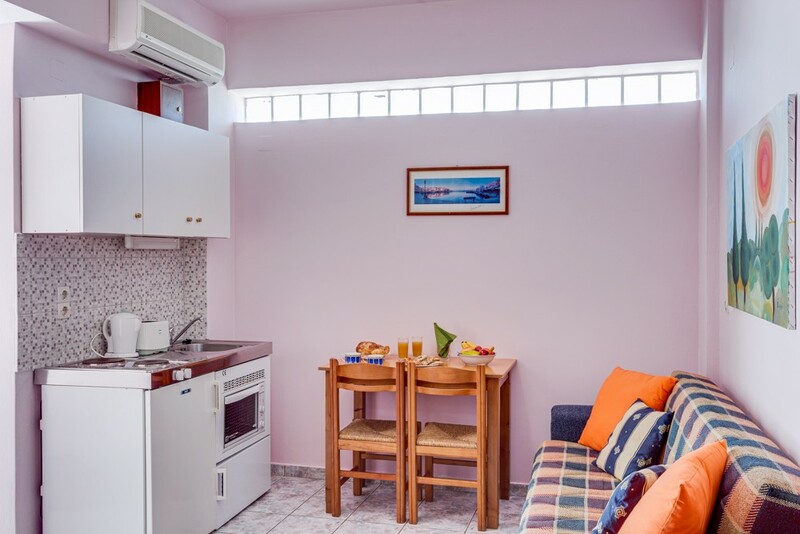 flat TV, fully equipped kitchen with refrigerator, free wireless wi-fi, living room and furnished balcony with sea views and to our gardens. 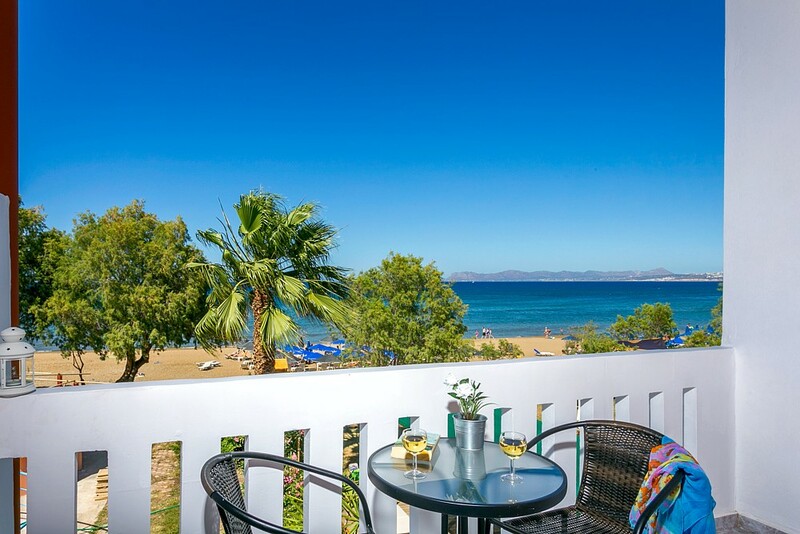 The “sea view” apartments have a beautiful view of the beach. 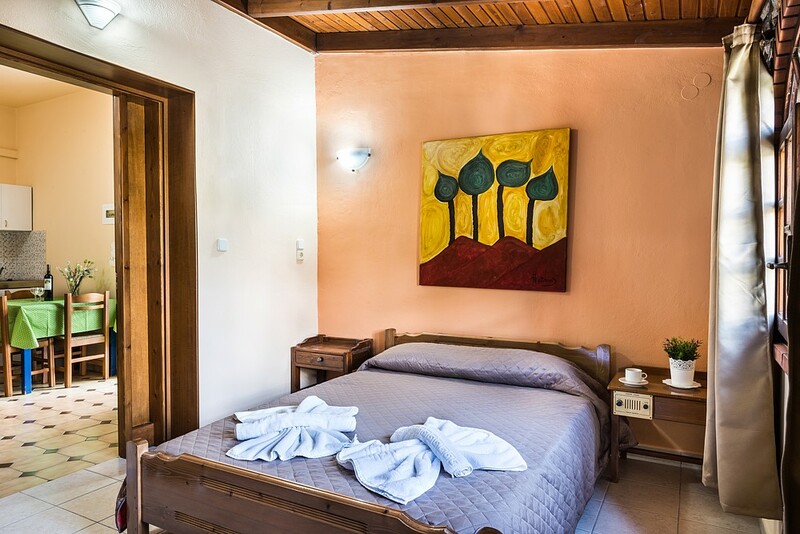 These rooms are very popular, so you must book in time if you would like to stay in one of our rooms.